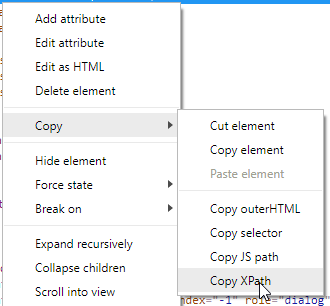 Right-click the highlighted node and select Copy->Copy XPath. Thank you Kaufmed, I did the same and it is bringing like "//div[@data-value='0'])" whereas I wanted it to be from groupID parameter asmentioned in the screenshot. thanks and apologies for the delay.